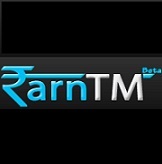 Get EarnTM Free Online Mobile Recharge now. EarnTM provides many opportunities to earn money online by sending SMS, playing quiz, completing surveys and much more. So, Join Free Today and Get Free Mobile Recharge and Money! Yes. It is FREE. 1. First of all Register at the website here. 2. Enter your correct mobile number and Email address. 3. After completing, Click on ‘REGISTER’. 4. Your Password will be sent to your mobile and validation link to your mail address. 5. Verify both and just Login with the details. 1. For successfull SignUp Rs 1. 2. For Email verification / validation 0.10 paisa. 3. For sending SMS 0.02 paisa per SMS. 4. For inviting friends Rs 1. 5. For answering quiz 0.05 paisa per Quiz. 6. For daily login 0.10 paisa daily. Earn TM Free Online Mobile Recharge is an awesome way of getting free mobile recharge. EarnTM provides a free platform to Indians to send SMS to their dear ones and get money in return. Users cannot send SMS outside India. It is liable only for India.Users can recharge others mobile numbers too from their earnings. Members can redeem their earning after you complete Rs.10 or more than that. Minimum recharge that can be redeemed is of Rs.10. So internet users can now send free message and get free recharge in exchange. Users can play quiz to earn extra amount. Quiz is a game where you can earn money by answering the correct questions. You can play daily with different questions. So guys register at this website and get EarnTM Free Online Mobile Recharge.